Scott Erickson is a touring painter, performance speaker, and creative priest who mixes autobiography, mythology, and aesthetics to create art that speak to our deepest experiences. Juxtaposing story-teaching, participation, and humor, Erickson walks us through a very personal and universal conversation about the death of a dream and the overwhelming voice of Giving Up in our lives. 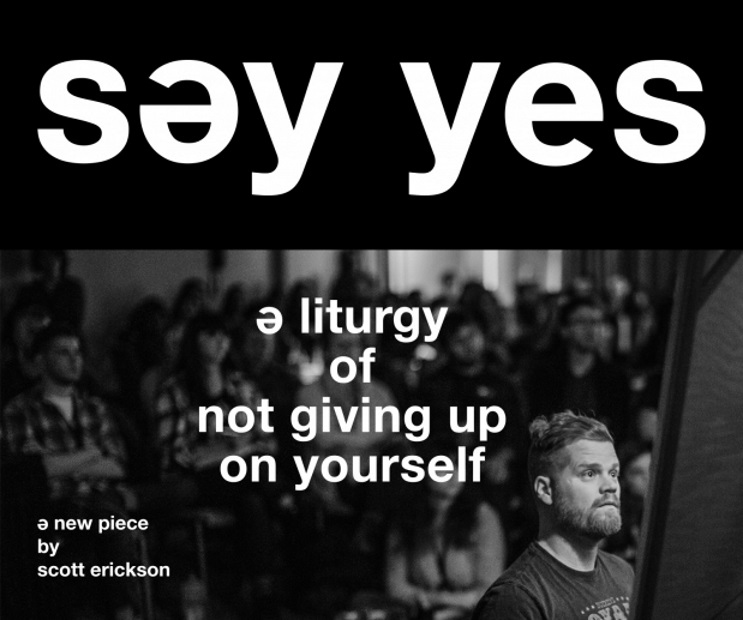 “Say Yes: A Liturgy of Not Giving Up on Yourself” is a multi-sensory experience that reveals this moment not as an ending but as a sacred doorway into our hopes, vocation, and our existence itself.